Another MOTD here! I'm trying to do them everyday that I wear makeup! This smokey eye was created using Urban Decay's Naked Basics palette, for the lips I used Lime Crime's Red Velvet Velvetine. 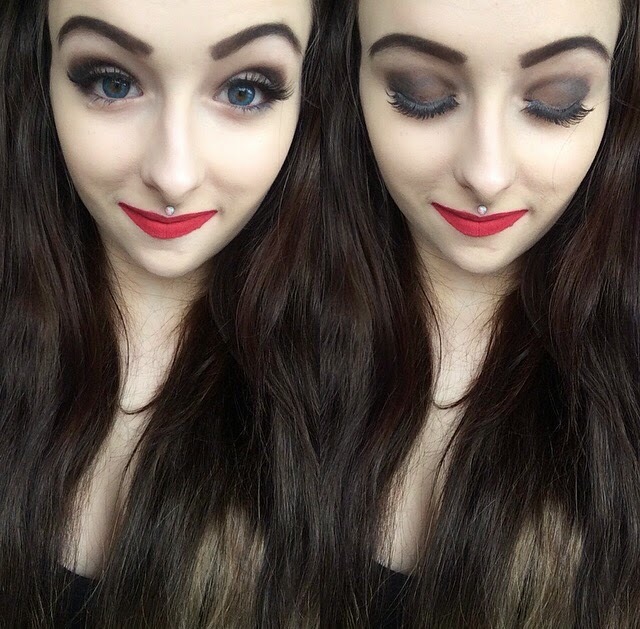 Who doesn't love a smokey eye and classic red lips?